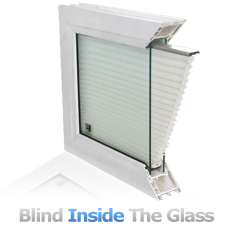 How did Sunshade Blind Systems get started in the integral blind sealed units industry? Integral blind sealed units are in the blood! One of the other trading elements in the PJB Glass Group (GlassTeq) has been making sealed units for over twelve years. It was a natural progression to expand on their technical expertise of Georgian Bar, Leads and Bevelled units to encompass the making of sealed units containing integral Venetian blinds. 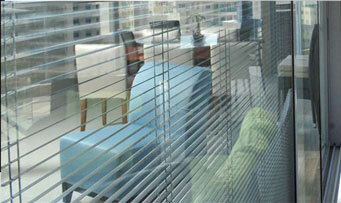 Sunshade Blinds has now been successfully making integral blind sealed units for over seven years. They have dedicated staff and an entirely discrete area within the factory for the production of integral Venetian blinds. Their annual turnover is in excess of £1 million per annum. Sunshade Blinds supply integral blind sealed units to window fitters across the country. Our speed of production and delivery, is matched by our quality product. We aim to ensure that you are getting top quality integral blind sealed units that are not matched by other manufacturers in this field. There are some manufacturers who claim to build to the same standards, but they fail to live up to your expectations. If you want quality, good price and a integrated venetian blinds product that will delight your customers, then give Sunshade Blinds a call on 0800 310 12 22 or click here to contact us by E Mail.